Speedcraft Nissan, near Providence, in West Warwick, RI provides all the common services for your Nissan. Factory Nissan Batteries start the car the first time in the dead of New England winters. The brakes on your Nissan are a vital component to your saftey. Stop in for a free brake inspection. Electrical systems can cause unique issues only a Nissan Dealer can address. The climate change in New England can take a toll on your Nissan’s Heat and AC Systems. Nissan Muffles & Exhaust Services from Speedcraft keep you Nissan efficient and clean. Express Nissan Oil Change service availible from Speedcraft Nissan. Stop in for a quick Oil Change. Does your Nissan have an open Recall? Check your recall status today and then schedule an appointment for corrective action. Nissan Factory Tires ensure your car drives just as did when you got it. 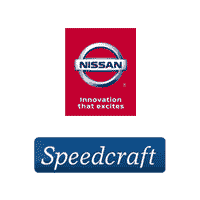 Nissan Transmission service from Speedcraft.